Clive is an entertainment and digital media lawyer who has also run digital businesses in the past. In 2012 he created the online law firm LawBite. This is a mix of technology, online documents and bespoke legal advice from a panel of experts, with an emphasis on speed and affordable pricing. 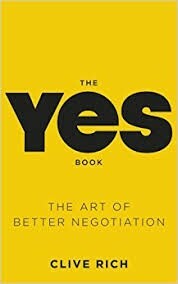 Clive is an experienced negotiator, and has published “The Yes Book, The Art of Better Negotiation”, as well as a negotiation app.